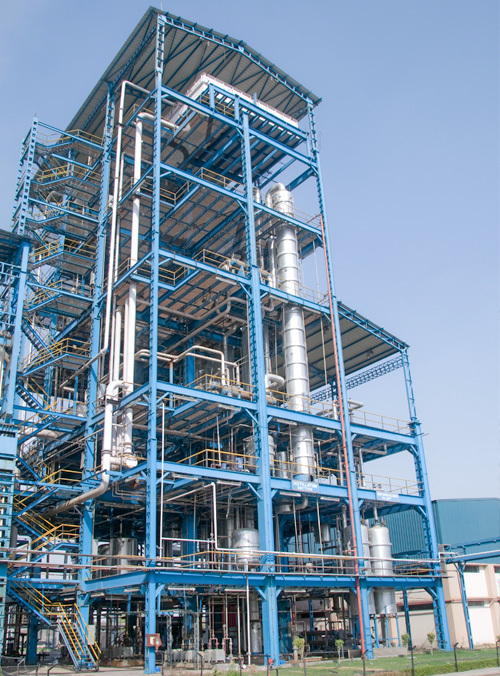 Molecular Sieve based Ethanol Dehydration system. Process is simple and no chemicals used. High Quality Desiccant used for Ethanol Drying. Stable operation and near theoretical recovery. Steam consumption minimized by multi-stage pre-heating to permit substantial heat recovery and reuse. An advanced control system developed through years of experience, to provide sustained, stable and automatic operation. Consistent & excellent product quality maintained.